The call to full-time ministry is a dangerous call. For some it is dangerous in the sense of outward persecution, but for most who will read Paul David Tripp’s book the danger is spiritual. Speaking from personal experience and from his experience counseling other pastors, Tripp describes the hazards encountered in full-time ministry. He shares how he has suffered and seen others suffer from the perils of personal sin, pride, burnout, and mediocrity. At the heart of all of it, however, is a failure by ministers to sit under their own teaching and to take to heart the scripture they spend so much time studying. We can become so good at studying and teaching about scripture and about spiritual disciplines, that we rarely spend time applying scripture to our lives and practicing Spiritual disciplines. There many points of application that readers can take away from Dangerous Calling, but I believe this is one of the the most important points to remember. I don’t think that most ministers would admit to thinking that they’re above their own teaching, but it is very easy to live like it. I know personally I enjoy studying and reading about scripture and get so caught up in the act of studying and learning that I sometimes fail to worship the God I meet in scripture or practice what I learned. Along with sitting under your own teaching, Tripp also reminds ministers to remember whose glory we are seeking in ministry. We are not seeking our own glory. Everyone in the church, ministers included, should be seeking the glory of God and avoiding self-glory. When we recognize that we are aiming to glorify God, we recognize that we are all sinners saved by grace, even seminary grads. Last May, I graduated from Seminary and received my M.A. in Christian Education. I love my education and thankfully my professors seek teach more than knowledge. They taught us not only to study but to serve and worship God. 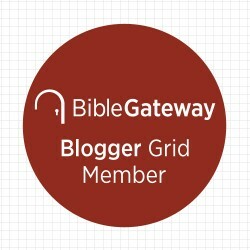 I’m now pursing full-time ministry and am very thankful that I came across some recommendations for prospective ministers from bloggingtheologically.com. The first book was Dangerous Calling, and I’m glad I read it. It’s a good reminder for someone like me who is going into ministry that even though I have received a seminary education I am not above it all. If you’re going into ministry, you should read this book. If you’re in ministry, you should read this book. If you are close to someone in ministry who is having difficulties, you should read this book. If you’re an elder at a church, you should read this book. This book doesn’t cover every problem that a minster might have, but it serves as a good reminder for anyone connected to ministry or serving in ministry. It can be dangerous to be in ministry if you neglect yourself and forget whom you are serving. I went to the library and got this book based on the recommendation from bloggingtheologically.com. I wasn’t asked to write a review, but my wife says that I should write more book reviews. You should go to your library and get books, libraries are wonderful.